The distinctions between grand larceny vs. petit larceny in North Carolina have been abolished by statute. That means the General Assembly specifically removed any legal distinction between “petit and grand larceny” as criminal offenses. As a catchall, larceny in NC is categorized as a felony offense (N.C.G.S. 14-70), unless otherwise distinguished by statute, and is deemed a Class H felony, which is quite serious. Under the NC sentencing guidelines, the maximum punishment for a Class H felony is 39 months in the custody of the Division of Adult Corrections, which is part of the Department of Public Safety. To review the NC criminal laws for larceny, click here. The North Carolina felony sentencing grid sets forth the punishments for felony charges in North Carolina. If the value of stolen property exceeds $1,000, it is a Class H felony. 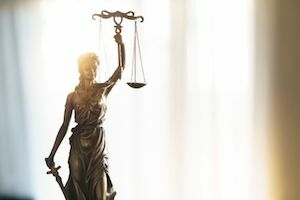 Possession of stolen goods charges, as well as receiving stolen goods in North Carolina, are also deemed to be Class H felonies if the value exceeds $1,000. If the value of the stolen items is $1,000 or less, larceny is a misdemeanor in North Carolina, subject to sentencing as a Class 1 misdemeanor. The under the NC sentencing guidelines, the maximum punishment for a Class 1 misdemeanor is 120 days Active Punishment. Misdemeanor sentencing punishment grids may be found here. Can I Get My Larceny Charges Dismissed? Crimes of theft, whether felony or misdemeanor charges, carry the potential for long-term consequences. There is a stigma associated with crimes of dishonestly and stealing. And while there is a presumption of innocence in criminal court, public opinion and its court does not provide such burden of proof or protections. Even an arrest for larceny can make it difficult to find employment. Publications like “busted” in Wake County regularly publish mugshots and other embarrassing information about arrests and criminal charges in Raleigh. It’s one reason why it’s important to retain legal representation and, if possible, look for ways to get the charges dismissed. Our defense lawyers in Raleigh at the Fanney Law Office PLLC want to make sure you understand the charges against you. Criminal charges, like the people accused of them, are all different. That’s why it makes sense to start preparing a defense strategy without delay. What you tell your defense lawyer is kept in the strictest of confidence. 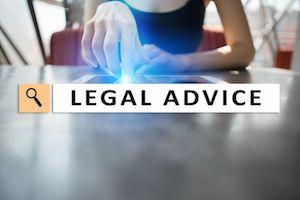 When you talk to a lawyer, if only for legal consultation, there is something called the attorney-client privilege that protects all such legal communications. That true even if you don’t end up retaining our Raleigh Criminal Defense law firm for formal representation. Call now for a confidential, free consultation or email John Fanney at: John@FanneyLaw.com John Fanney is a Board Certified Criminal Law Specialist in both Federal Criminal Defense and State Criminal Defense in NC.